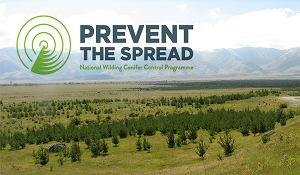 The Mackenzie Basin Wilding Tree Trust is entering its second year, having spent last year getting the first part of its strategy underway. 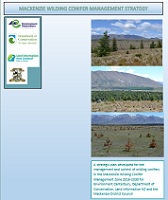 Ministry of Primary Industries (MPI) funding for wilding tree control is contingent upon landowner input so this survey is to assess the present yearly landowner spend on wilding tree control in the Mackenzie Basin. It is our belief that farmers are already spending a considerable amount on wilding tree control and we would urge you to fill out the attached sheet so that we can confidently quote and accurate combined on-farm figure to add to other contributing agencies’ inputs. Download the Landowner Expenditure Report template. We recommend to landowners that they might like to keep a before-and-after photo record of their wilding control work.